Chase, Rubble, and the rest of Nickelodeon's PAW Patrol strike gold in Adventure Bay—but will the mischievous kittens from Foggy Bottom let them keep it? Boys and girls ages 3-7 will love this full color storybook that features glittery pages and a shiny poster. Get on the case with Nickelodeon’s PAW Patrol! 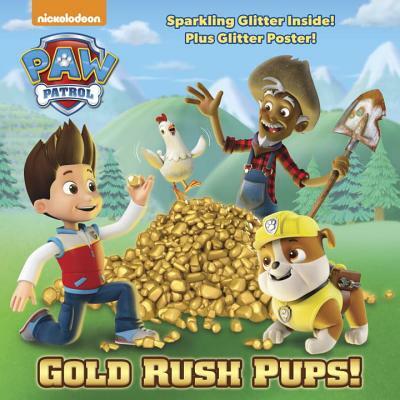 Chase, Marshall, Rubble, Skye, and the rest of the puppy heroes are on a mission to save their friends and protect the community of Adventure Bay using their paw-some vehicles, tools, and teamwork.